He's the other bow tie-wearing time traveler, predating even the original 1960s incarnation of Doctor Who. Mr. Peabody and his son Sherman first appeared in the late 1950s on The Rocky and Bullwinkle Show. Now, their own feature-length cartoon is wonderfully, sweetly geeky, full of charm and authentic humor. Peabody (the voice of Ty Burrell) is a genius inventor, scientist, musician, athlete, gourmand and mixologist. Oh, and he's a dog. I don't know if there's any explanation for how this is possible, and this new film never broaches it. But there is — in a move that represents how deeply nerdy a flick this is — a great deal of explanation of how a dog was allowed to adopt a boy; precedent-busting court cases were involved. We learn this because poor Sherman (the voice of Max Charles) has gotten into a fight at school with mean girl Penny (the voice of Ariel Winter), and now social services is involved. Ancient Egypt and Renaissance Italy are but two of the places we are whisked away to, with much good-natured silliness and tons of gloriously bad puns along the way. These are the sorts of goofy yet intriguing adventures that could well inspire kiddie curiosity in history and art and science; I know this is just the sort of movie that would have sent 8-year-old me running happily to the library to find out more about the likes of King Tut and Leonardo da Vinci (whom we meet here in exaggerated, animated form). 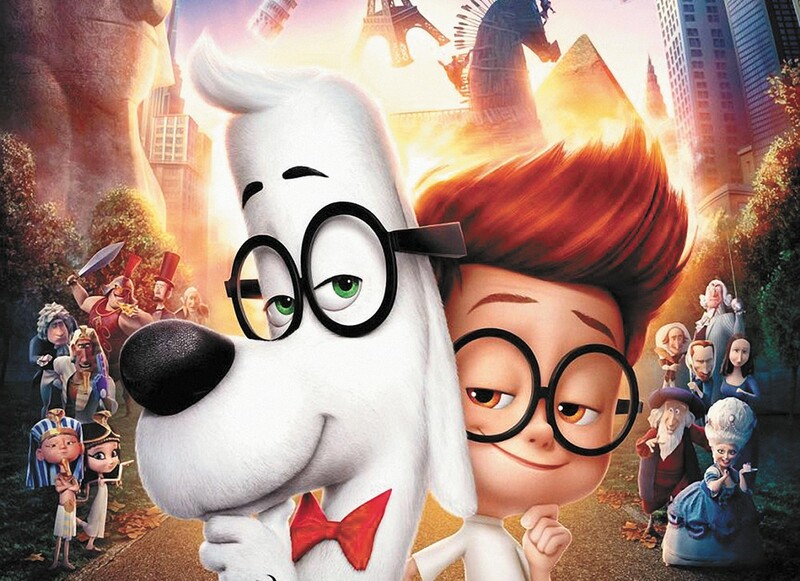 Mr. Peabody & Sherman, Mr. Peabody & Sherman 3D and Mr. Peabody & Sherman are not showing in any theaters in the area.